Canadian outfit Cream Productions has brought in an experienced executive producer to join its team as head of productions. Patrick Cameron is taking up the role, reporting to president Kate Harrison. Cameron has a long history with Cream, having served as a producer on projects including Blood & Fury: America’s Civil War for America Heroes Channel as well as the cult hit Fear Thy Neighbor for Investigation Discovery. In his new role, he will oversee the production of Cream’s slate of series and specials produced for networks in the US and Canada. 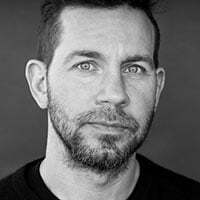 With nearly two decades of industry experience across feature films, television and music, his many credits include Web of Lies (ID), Paranormal Witness (ID), You Bury Your Own, 20 Moves and the award-winning I Declare War (TIFF, Action Fest). Additionally, he directed and produced the action sports documentary Ride and produced the adventure documentary Alone Across the Arctic. Cameron’s other business ventures include Samaritan Entertainment, PCMWorldwide and TwoThreeFive Films where he managed the development, financing and production of upward of 800 music videos and commercials, earning him 12 iHeartRadio Much Music Video Awards. Cream is about to premiere event series History Erased (History) and most recently premiered BTK: A Killer Among Us (ID) and the six-part series The Dictator’s Playbook (PBS). Cream is also currently in production on an as-yet unnamed high-end drama documentary for Netflix.